Hey there! I'm Andrea. I'm a first grade teacher, huge Gator fan, bookworm, Disney fanatic, popcorn addict and runner. 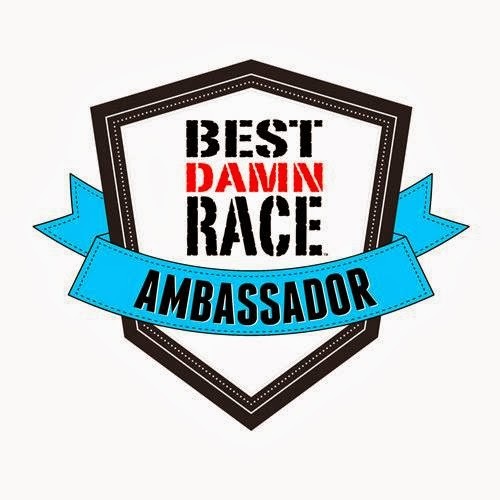 It's hard to believe the runner part. I HATED running with a passion until about 2011! It all started when Kory, my now husband, proposed to me. 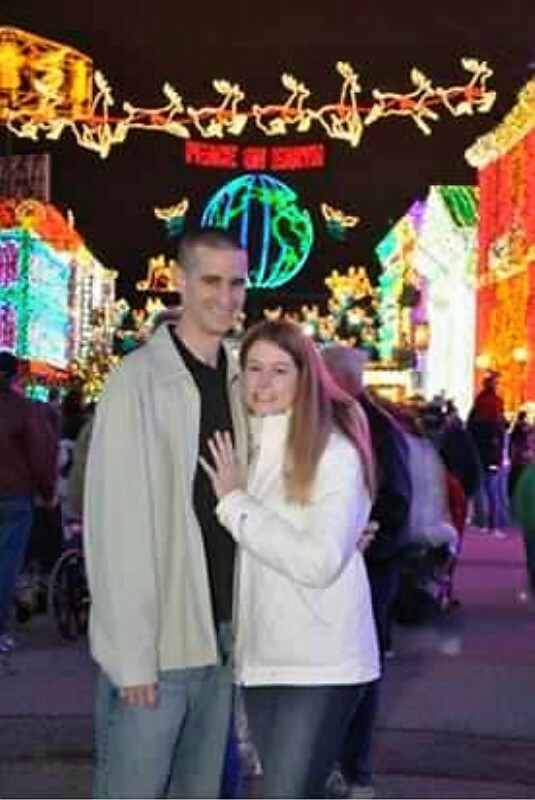 He proposed at The Spectacle of Dancing Lights at Hollwood Studios on December 19, 2010. We decided not to wait too long to get married at set our wedding date for our 5 year anniversary on June 11, 2011. 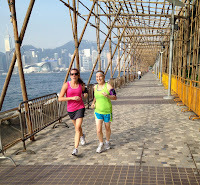 My matron of honor, Cori and I decided to start running to get in shape for our wedding and never looked back! 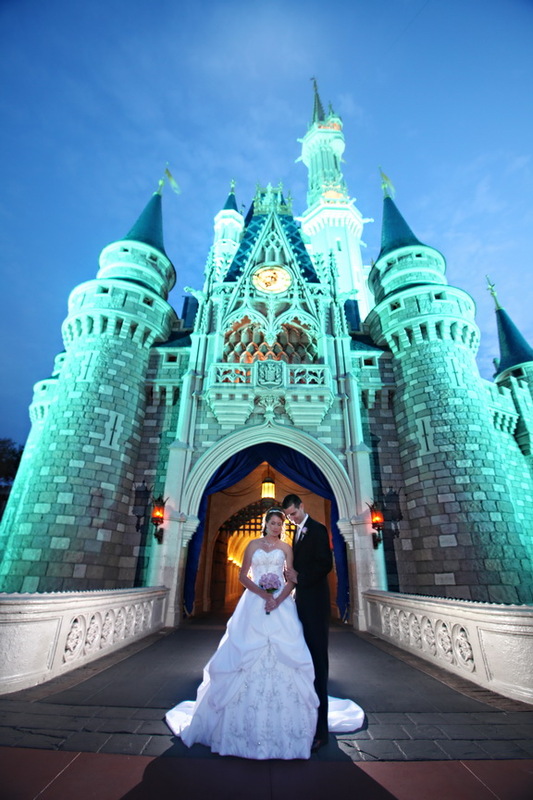 Kory and I got married at Disney World. It was a complete fairy tale come true. I loved every little thing about it! We also have a yorkie named Bella. She is completely spoiled. I can't help it. She's our only baby--for now! I also love to travel. 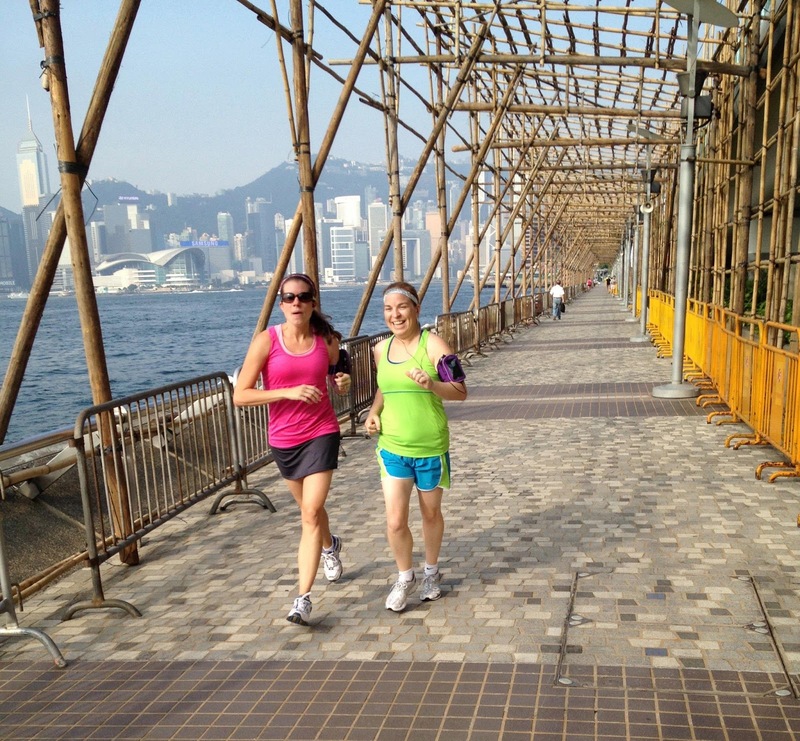 In fact, in the summer of 2012, I ran in six different cities in six weeks--Orlando, Jacksonville, Hong Kong, Tokyo, Denver, and Hilton Head. So much fun! I only wish I had started this blog sooner! Just wanted to say great blog! 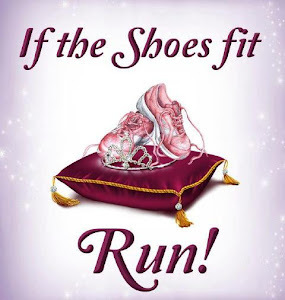 I have also started running, LOVE Disney, and am a Disney Bride. I just started my blog a few days ago. Hope I can get it as nice as yours! Once upon a time, I followed (but never commented) on your disboards thread from your wedding. I was looking at it today to refer a friend to your bachelor party and found this! I love how much we kind of have in common. I've always despised running; but started after being a cheerleader for friends running all the disney races. We've started at the same time and run a lot of the same races! Good Luck with Glass Slipper this weekend! (I will be there; but walking both races due to an injury a week and a half ago!) Just wanted to say Hi! Hi! I'm glad to help with bachelorette parties ideas! And good luck this weekend!! If you see me, say hi! My name is Cathy Telfer and I work for the Community Food & Outreach Center here in Orlando, Florida. The Community Food & Outreach Center is a non profit organization that strives to empower those individuals stuck in situational or generational poverty through providing a hand up with food membership programs, mental health counseling, employment assistance, life skills classes, and case management. On September 13, 2014 we are holding our first Quack Attack on Poverty 5K Run. Participants of all ages and abilities will have the opportunity to race through an exciting 3.1 mile course in Baldwin Park featuring bubble, squirt gun and quack zones...all while wearing an inflatable duck-shaped pool float around their waist! 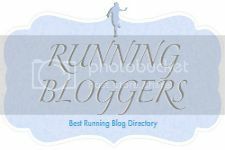 We are looking to feature our 5K run on the blogs and websites of local Orlando running blogs. 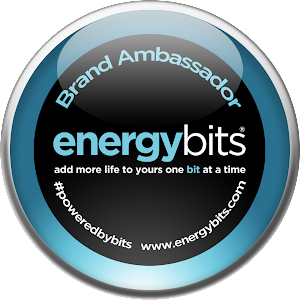 We were wondering if featuring our 5K on your website might be something you are interested in. Thank you for reading and we hope to be hearing from you soon! Hi! Sure! I'd be happy to feature it. 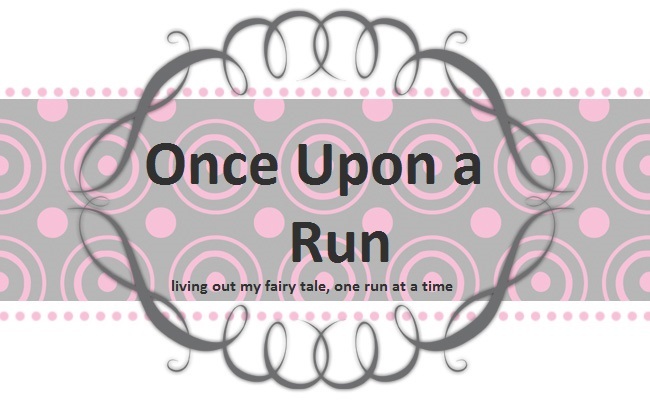 Please contact me at onceuponarun (at) Hotmail (dot) com with more info!